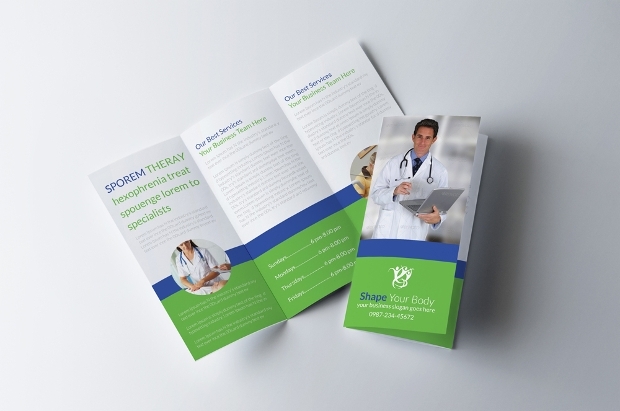 The importance of brochures in any type of business is simply undeniable. 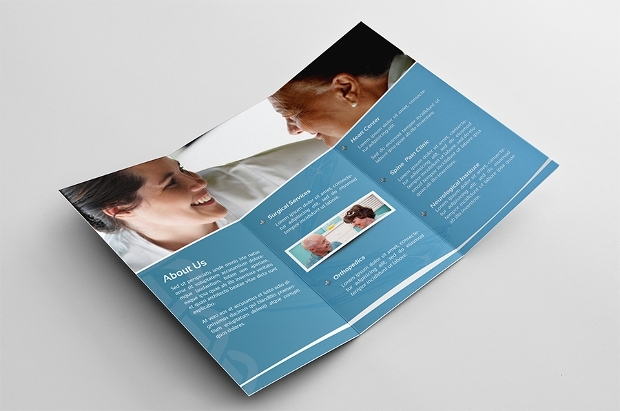 Brochures are vital parts of campaigns and they are useful more specifically in advertising campaigns. 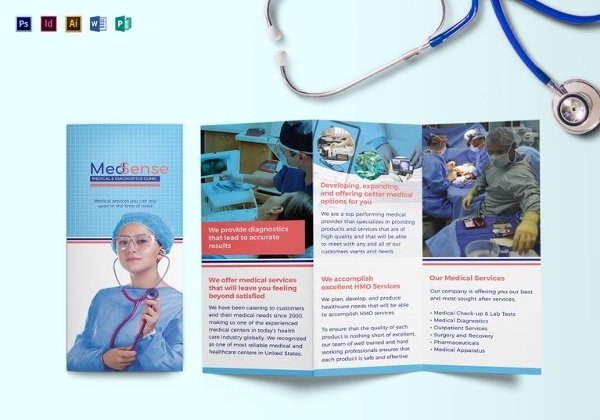 When it comes to medical brochure designs, it is essential that they are included with features that the public will find useful and informative. 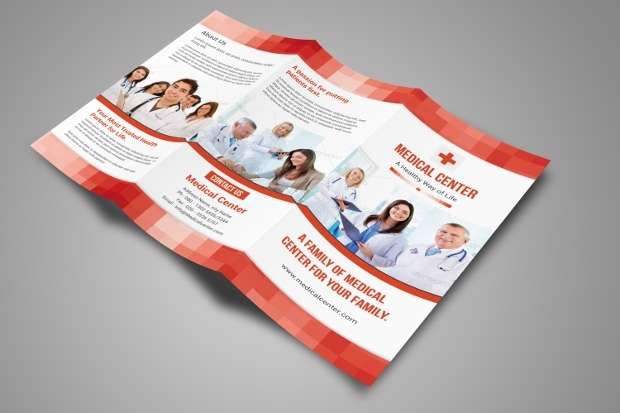 A hospital brochure can be a bi-fold or tri-fold brochure. The following are some of the best templates to choose from. 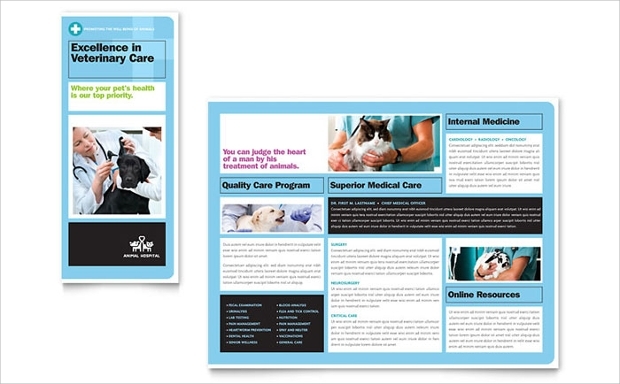 This hospital trifold brochure template is an ideal option for small-scale and corporate businesses. The design is colorful, editable and customizable, InDesign format, print-ready, and 300 DPI resolution. 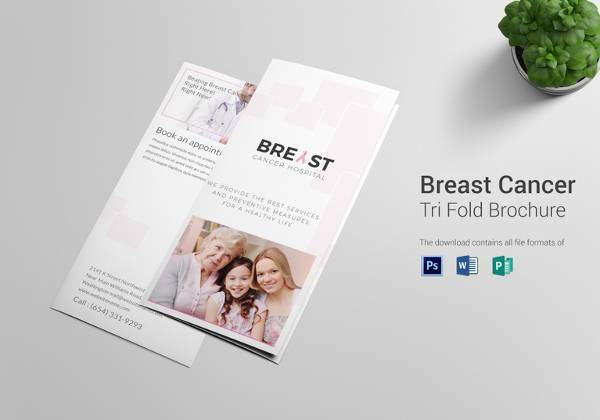 Since it is a trifold template, you can include as much information as needed (like outside page with company logo and vision on the first part, branch locations on the middle part and a little information about the dedicated staff). 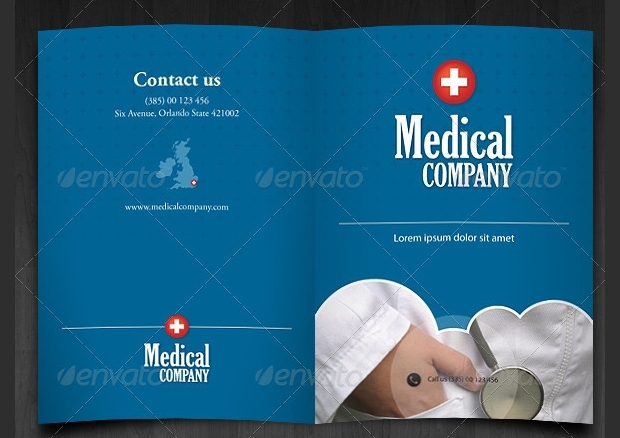 This is a simple template for a medical brochure. 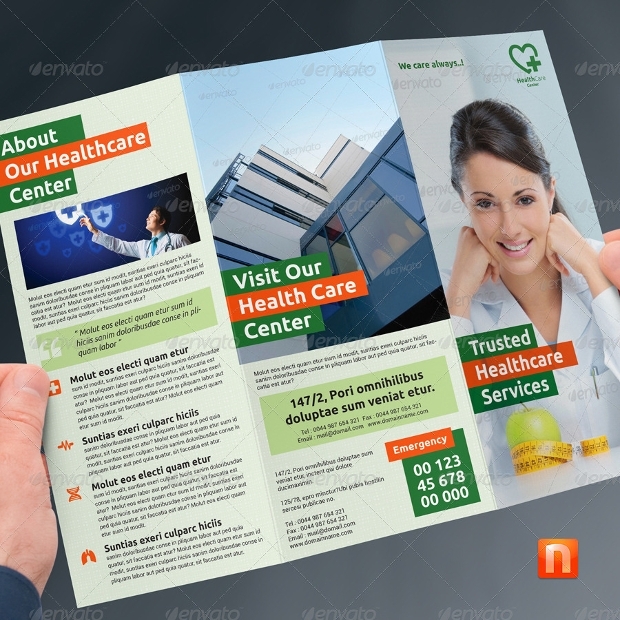 It is in the trifold design, which allows for better use of space for more information. 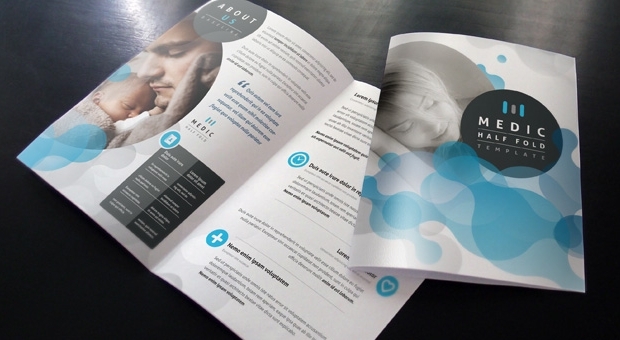 This template is editable and customizable in 300 DPI resolution, CMYK color design, and Adobe CS5 print-ready format. 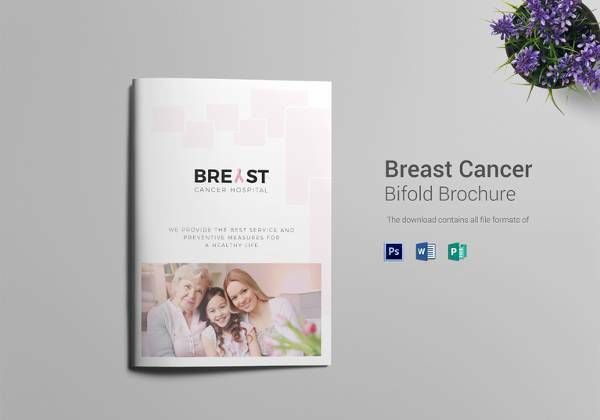 If you do not like the trifold design, this bi-fold hospital brochure template is a good alternative. This option is good if there are not many categories to be included in the brochure. This template comes in InDesign format, A4 size (4 pages), customizable and editable in CMYK colors and 300 DPI resolution. It is also print ready. 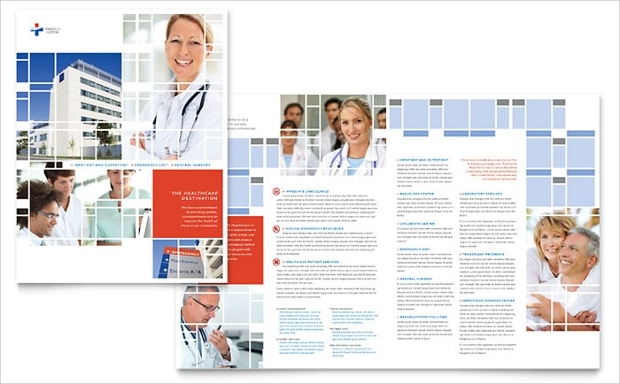 This mosaic medical brochure template is a Photoshop file in 8.5 x 11 inches size and it is easily customizable in 300 DPI resolution. It is print ready and all you need to do is to incorporate your own images. The medical field is filled with different sub-fields including optometry. 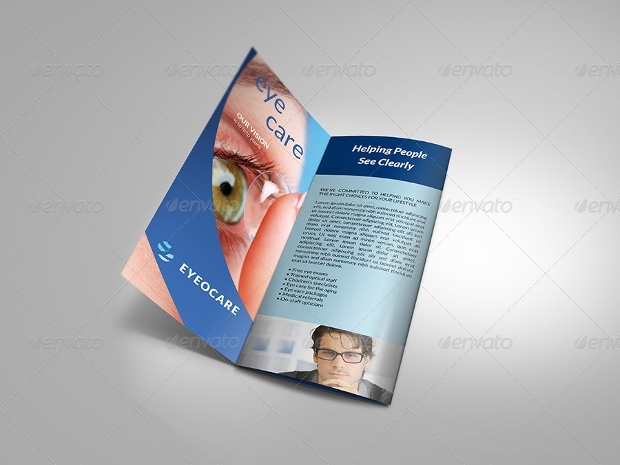 This medical brochure template is a good choice for eye hospitals or clinics. 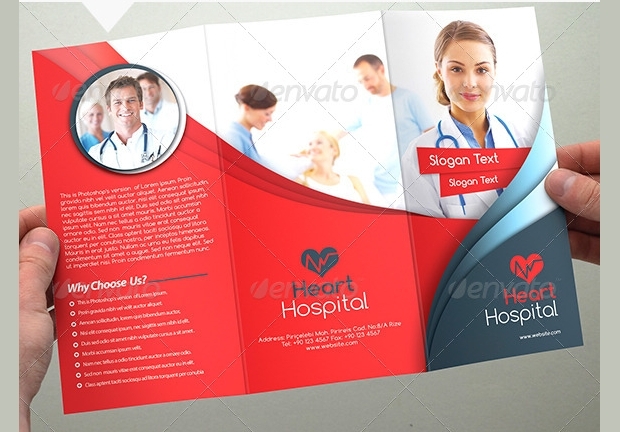 It comes in tri-fold design and it is easy to edit and customize. 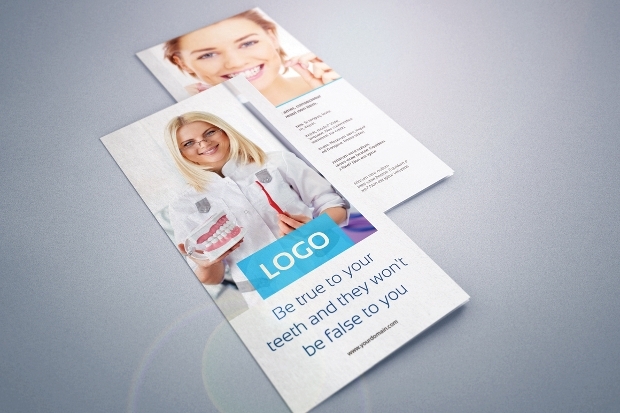 Dentistry is another medical field that requires brochures for advertising campaigns. 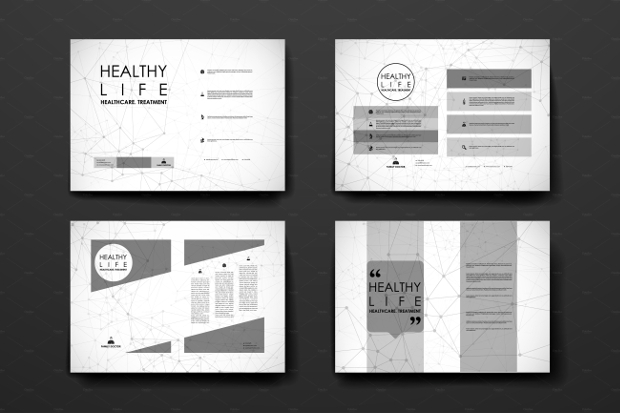 It comes in trifold design and can be edited in Illustrator CC. 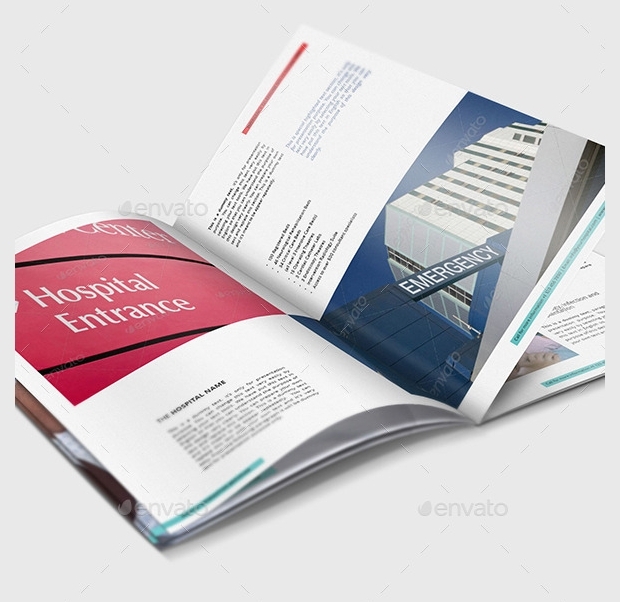 If you want to create a brochure for a hospital general information, this template should be your choice. It creates a multiple page brochure that could include; welcome page, services, specialists and experts page, success story, facilities, in-stay accommodations, fees and packages, charges and costs, and much more. 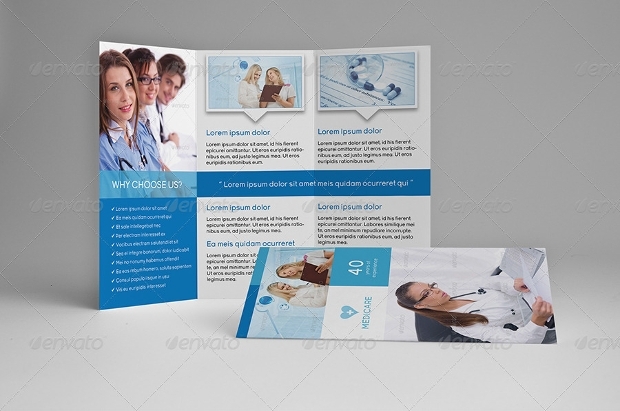 For a unique trifold brochure that you can use for a dental clinic, you may want to check out this square trifold template. It is professional looking, organized, layered, customizable and print-ready. It comes in Illustrator, InDesign, and Photoshop files. 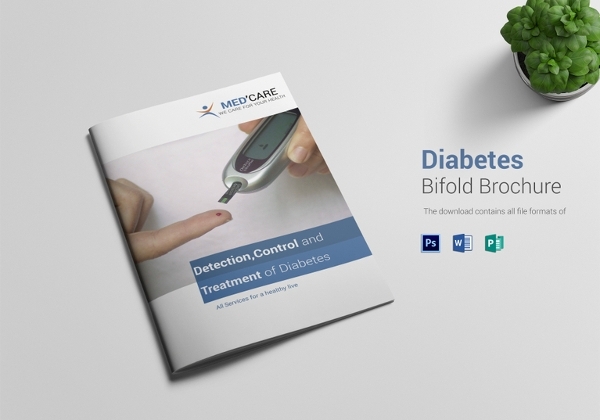 This full hospital and medical care brochure template come with these great specifications; print ready, 300 DPI resolution, A4 size, 24 pages, InDesign Cs4 file, PDF preview, and Monserrat, Lato font. 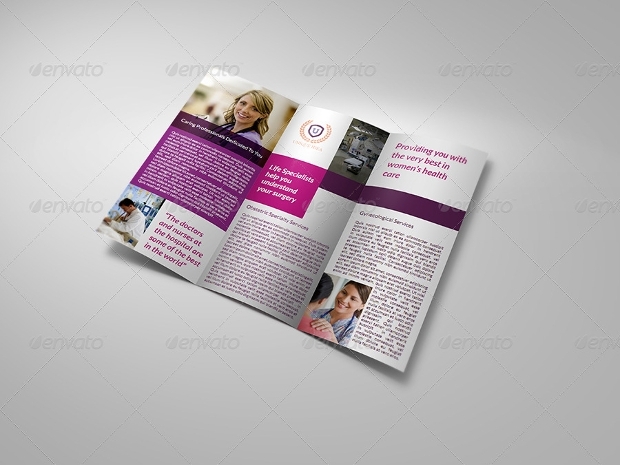 If you are looking for a highly professional medical brochure template, this one should be on your list. It comes with multiple color options, two PSD files, print ready, 300 Dpi resolution and CMYK color. It is a beautiful template that only requires your own images to complete. There are different ways to advertise or promote a business. 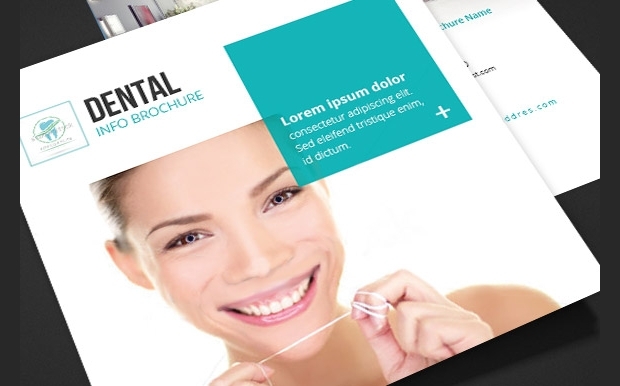 A corporate brochure is one of the best tools that you can use. 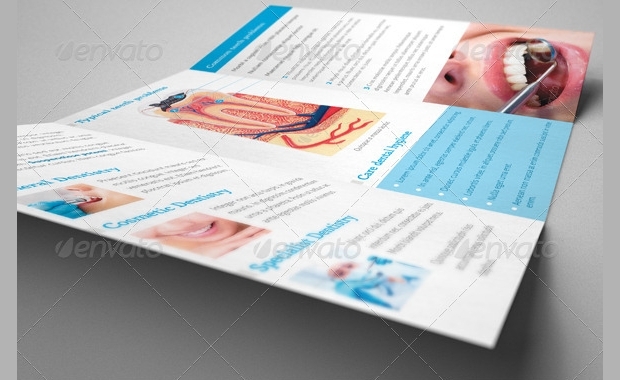 Medical brochure templates come with different features and in different formats and sizes. 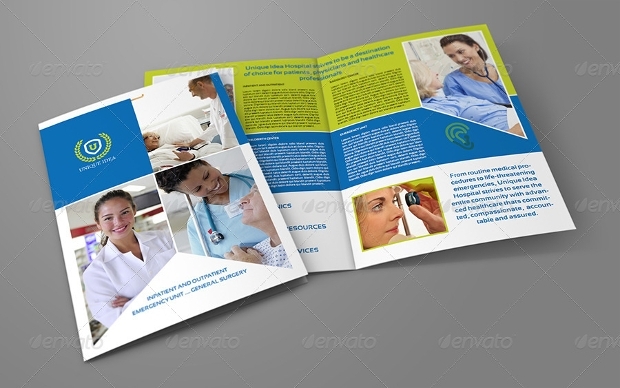 Basically, a medical brochure can be used as a dental, health services or spa brochure.